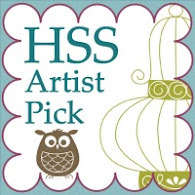 Accessories: Circle Punches, Rhinestones, Pearls, Stampin Dimensionals and Adhesive. Come on over to Just Add Ink http://www.just-add-ink.blogspot.com.au/ and join on in the fun. 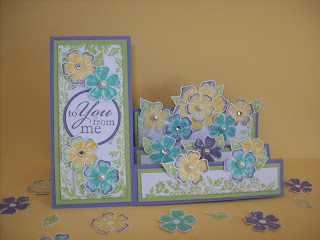 Love the "rock and rolled" flowers, Sammi, and all the fussy-cutting you've done. This is a beautiful card. Beautifully done Sammi,lovely job on the fussy cutting and stamping. Thanks for playing at Just Add Ink this week. WOW! Sammi - love, love, your card. Your flowers are gorgeous! Thanks for playing along at Just Add Ink this week! This is a beautiful card Sammi. I absolutely adore Vintage Vogue and you've made all those little flowers look fabulous. Thanks for joining us at Just Add Ink this week. This is just beautiful Sammi! I love all of the flowers. That's a lot of work! Thanks for playing along at Just Add Ink this week. What a fab entry for the colour combo at Just Add Ink this week. 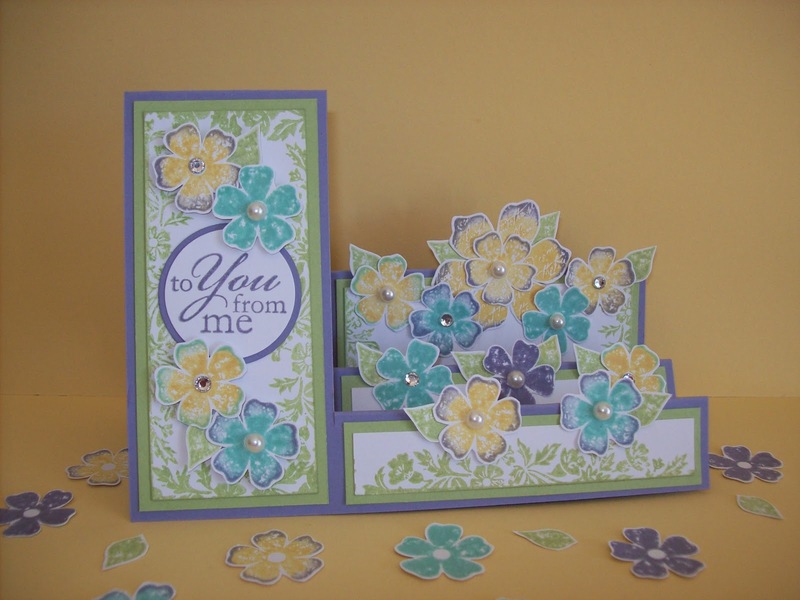 A beautiful stepper card full of gorgeous flowers. Thanks for playing with our colour challenge this week at JAI.